Favorite Bible passage: Hebrews 2:8-9 - "Yet at present we do not see everything subject to him. But we see Jesus..."
Favorite Bible passage: 1 John 4:18 "There is no fear in love"
Favorite authors: Stan & Jan Berenstain, Arnold Lobel, Where's Waldo? Carlan and Michelle mark the first time the McCropder Team has grown via marriage. Carlan met John when he was 16 years old visiting his sister at college. John later recruited him to the University of Michigan for medical school and Knox Presbyterian Church for worship. He quickly bought in to the team vision and, as soon as he completed residency in 2012, joined everyone else in French language study in Albertville, France. Michelle entered the picture in 2014 when the two met at a missionary conference hosted by their home church in Los Angeles, Grace Community. She was on stage playing the piano and by God's grace sat behind him during a Friday night service. They began talking after the sermon and in July 2015 they were married at that same church. They were approved by Serge for service as a family five months later and now plan on deploying first to France for language study and then Burundi afterwards. Please pray that they would build wonderful and strong relationships with each other's family and friends before leaving California in mid-2016. -She was paralyzed for some long period of time when she was young due to transverse myelitis (but she got better and climbs mountains now). Her own blog can be found here. It's been over a decade since God first called Ted into the field of medicine for the purpose of bringing medical help to those who would otherwise have no access. Somewhere along the way, God brought Eunice into the picture through a shared love of children's ministry, particularly children's worship...and Del Taco. They are also both from Southern California and are INFJ's. Together, they have committed their lives to taking the hope of the Gospel to the ends of the earth. The John family is currently in language school in Albertville, France. They will be joining the Serge-Kibuye team in mid-2018 through World Medical Mission's Post-Residency Program. 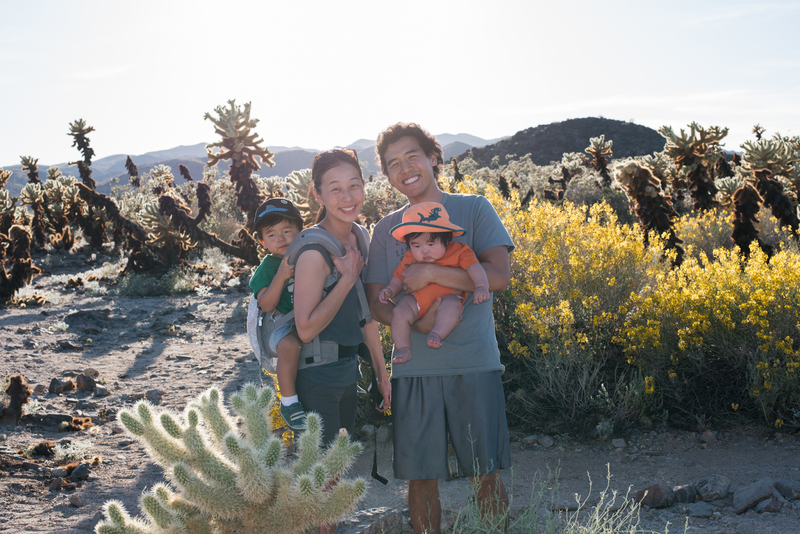 The Johns look forward to doing life together with the team! Ted is a general surgeon by training. He spent nearly a decade in Ann Arbor, MI where he attended The University of Michigan for medical school and then completed his residency at St. Joseph Mercy Hospital. He enjoys running, basketball, hiking, and being outdoors. He also likes eating Mexican cuisine, exploring new cities and cultures, cheering for UM college football (Go Blue! ), taking naps, and watching superhero and action movies. Eunice is a former middle school math teacher. She taught for 6 wonderful years before becoming a stay-at-home-mom. She loves teaching, children's worship/ministry, heart to hearts, Costco samples, meal planning, trying out new recipes, cleaning (or rather, a clean home! ), and watching her kids grow. She has an intense phobia of snakes and is relieved to hear that snake-sightings are far and few between in Kibuye. Toby was born in 2014 in Ann Arbor, MI. He is full of energy and spirit. He loves garbage trucks (and vehicles/machinery of all types), food, people, "organizing/cleaning", helping, playing outside, dancing, singing -- to sum it up: Toby loves life! He doesn't care for onions and any article of clothing that extends past his knees or elbows. Amos was born in 2016 in Pasadena, CA. He is full of smiles and is a sweet baby. He loves hanging out with people and exploring the world around him. He doesn't care for naps but will comply with whatever his mom asks him to wear. He only has two teeth so far, but he has an appetite as big as his brother's! Logan and Julie are old team friends from our first days in Kenya in 2010. 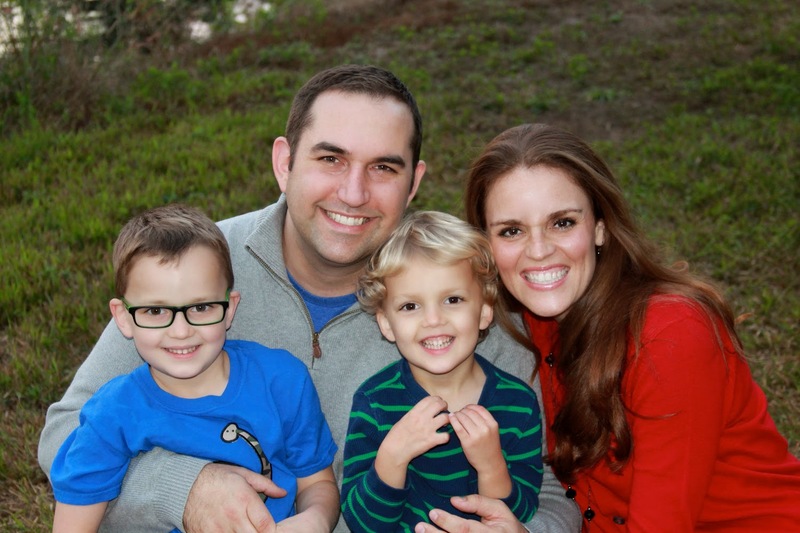 Logan is a full-scope family doc that will be able to serve on the Adult, Pediatric, and Maternity wards, and also comes with five years of residency teaching experience. 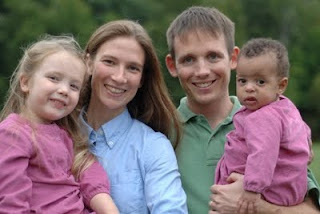 We're delighted that their family is going to come out to Burundi to round out our team. Caleb: is a civil engineer (and younger brother of a certain Kibuye surgeon) who spends his days working alongside local engineers, architects, and tradesmen to build and renovate the hospital and surrounding residential areas. 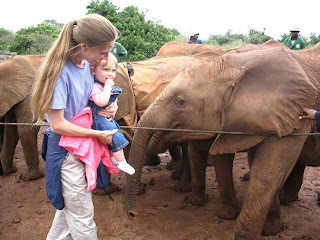 Krista: is a nurse practitioner who is busy raising the boys and serving part time at the hospital in Burundi’s first chemotherapy program for pediatric patients with retinoblastoma (eye cancer). Liam: is an active little boy who loves being outside and playing with other kids. Gavin: is a sweet toddler who keeps us all on our toes with his never-ending curiosity. Baby Boy #3: is busy growing and planning his arrival sometime at the end of March 2018. Darrell is a retina surgeon and Becky is a super-mom. They are planning to move to Burundi in 2016 after finishing French language school. We look forward to welcoming the Baskin Brigade to Kibuye. 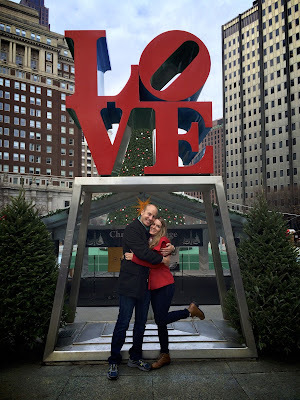 Jesh and Julie knew of each other since childhood but reconnected over coffee and discovered a shared passion for missions. 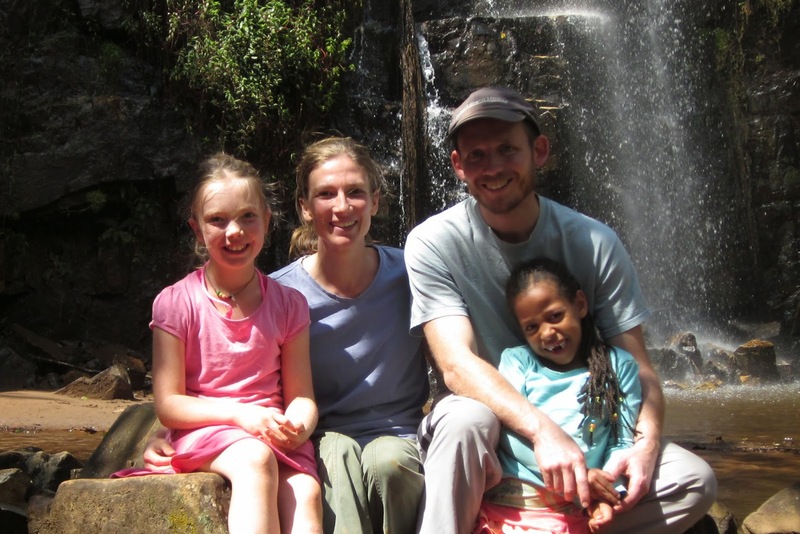 Julie had previously taught primary school in Burundi and Jesh had previously travelled to the Dominican Republic and Myanmar on short-term missions trips. They connected with Jason Fader at the Global Missions Health Conference in 2014 and felt God's desire for them to work towards joining the Kibuye team shortly after. After completing language training in Albertville, France they will join the Kibuye team in June 2018. Jesh is a Canadian trained General Surgeon with a background in Electronic Engineering Technology and manufacturing. 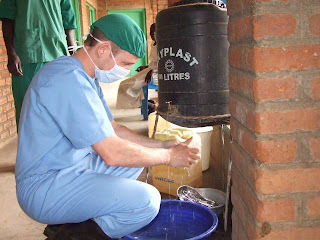 Originally from British Columbia, Canada, he completed medical school at the University of Calgary and his General Surgery Residency at Queens University in Ontario. While not passionate about food, he does appreciate ice cream and a good steak. He enjoys fixing almost anything. He may have convinced his bride to watch the Lord of Rings Extended Edition on their honeymoon! Julie loves hospitality, cooking and being a mother. She has travelled to India and Burundi, teaching in both countries. She is definitely more passionate about food then Jesh, and looks forward to embracing the challenge of cooking and making a home. She has had a long held desire to work overseas, and has been a support to her husband through the many years of schooling. She does not feel the need to watch Lord of the Rings (extended edition) ever again. Kaden surprised his parents by arriving early while we were out of town in British Columbia. He loves to build, read and spend time outdoors. He prides himself in keeping all our devices fully charged at all times. Seija was born in the Northwest Territories in Northern Canada. She loves princesses, cheese, and chocolate, and has been known to beat her parents at games like "Settlers" and "Quirkle". Kai is the newest member of the family born in Ontario during Jesh's surgical residency. He enjoys things like crackers and bottles of milk at all hours of night. Despite wanting to socialize while all other creatures are sleeping, he is adored by us all. 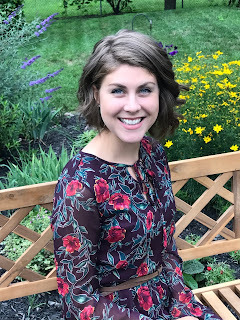 Kayla grew up in Lansing, Michigan, and graduated from Spring Arbor University with a degree in Elementary Education with endorsements in reading and teaching English as a second language. Although Kayla has wanted to be a teacher for almost as long as she can remember, teaching outside the U.S. was not always on her radar. Her interest in teaching abroad was sparked in high school and was quickly ignited after spending the summer of 2015 in Japan helping teach English at a kindergarten. 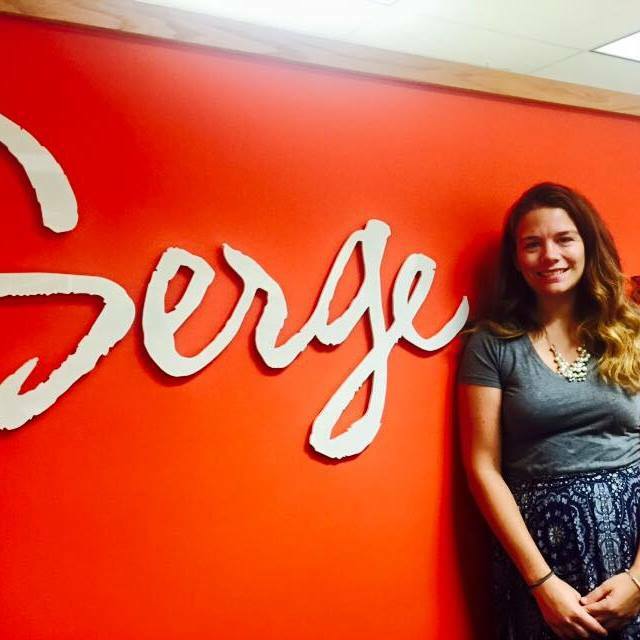 The following year, she became friends with a fellow Spring Arbor student who had family roots in Burundi. After talking with this friend and her family about Burundi and the team in Kibuye, Burundi seemed to be written on her heart. Kayla joined the team in Kibuye in April of 2018 to teach at Kibuye Hope Academy for a two-year term. 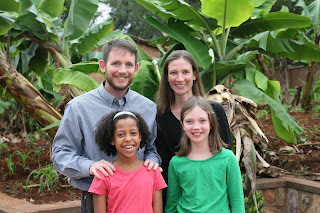 Scott and Lindsay are joining the Serge Kibuye team as teachers for the burgeoning number of team members’ children. In 2003, Lindsay was working as a studio manager for Olan Mills Family Portrait Studio when she was asked to train the new guy (Scott). One year and one day after that training began, Scott and Lindsay married. They have enjoyed living and working in a variety of places, including Shippensburg, PA, Dublin, Ireland, and most recently Williamsburg, VA. Together, they worked on a number of projects, most notably including their own photography business, teaching humanities at both primary and secondary levels, and initiating a program of urban arts outreach. They now anticipate serving together in Kibuye as God expands the reach of the ministry in Burundi. 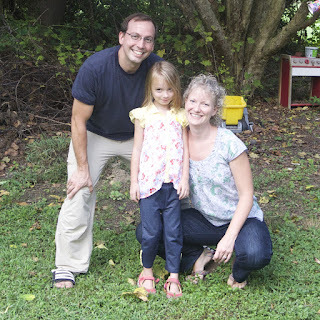 Information on supporting the Nimmons can be found by clicking here. 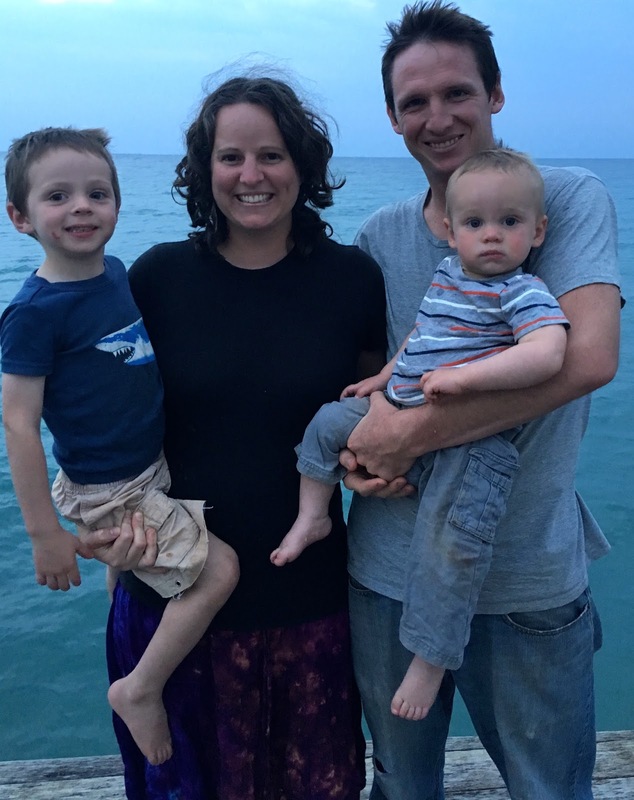 The Watts family came to Kibuye via the Serge team in Bujumbura, where George was helping with teaching and academic leadership at Hope Africa University before they were forced to leave due to the ongoing violence (“Fantastic evacuation. 4-stars. Highly recommended”). The peaceful, green, quiet freedom of Kibuye is a dream come true for the kids, and a great fit for the whole family. 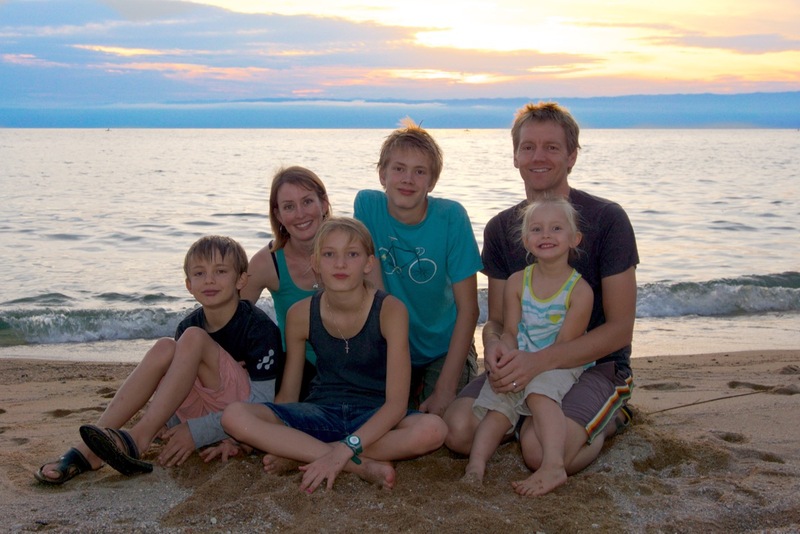 Originally from a small town on the Canadian prairies (where they met in Jr. high) - George & Susan got married, then moved to Kazakstan for a year - teaching english, working with orphanages, & developing children material. They finished undergrad, then moved to France for George’s graduate studies where Jonah was born. Then back to Canada where George was a professor at King’s University and Matea and Micah were born. Then back to France for doctoral studies and skiing, where Alma was born. 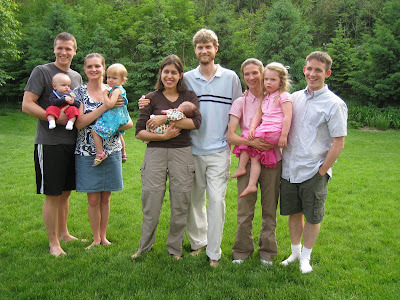 Susan is a mother-of-four extraordinaire, sometimes homeschooling, and always the hostess with the mostest. George is working with hospital administration at Kibuye, putting into practice his doctoral studies on resource-constrained environments. 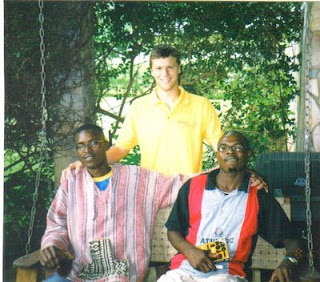 -Some of Eric's stories from rural Zambia (Mukinge Hospital) as a 4th year medical student in 2005 can be found here. 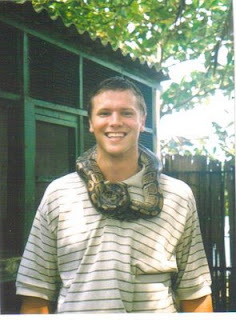 -From the McLaughlin's September 2007 sojourn in Bangladesh (Malumghat Hospital) as residents, feel free to read about Bangla-Lunch, Outpatient Translational Adventures, and the now-humorous exploits known as Roach Wars. The whole of their blogs from the month can be found here. 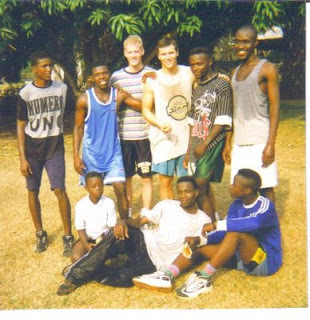 -Jason's story post on his Liberia trip in fall 2008 is here. -John's trip to Nepal with the Himalayan Eye Project in 2009 is here. Music by Ladysmith Black Mambazo, especially Paul Simon's "Graceland"
The awesome action sequence in Madagascar at the beginning of "Casino Royale"
John and Jessica first met in 2nd grade at Calvary Christian Academy in Ypsilanti, Michigan. It wasn't until high school, however, that any romantic interest began. They finally tied the knot in 2000. In 2001, they both graduated from college -- John from the University of Michigan with a B.S. in Biology and Jessica from Eastern Michigan University with a B.S. in Secondary Math Education. John continued his education at the University of Michigan Medical School, where he graduated in 2005. In June 2009, John completed his ophthalmology residency at Wills Eye Institute in Philadelphia. After college, Jessica became the "breadwinner" and taught secondary math in the public schools for six years. During that time she took evening and summer classes to earn her Master's Degree in Teaching English as a Second Language (TESOL). After the birth of their daughter, Elise Star, in March 2007, Jessica transitioned to the new role of "domestic engineer". Since then, Micah (Dec 2008) and Sam (Oct 2011) have been added and keep her very busy! 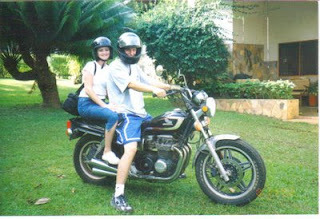 John spent 10 years of his youth at the Karolyn Kempton Memorial Christian Hospital in Togo, West Africa. (His father is a general surgeon and his mother is a nurse.) 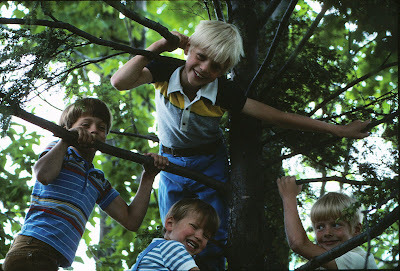 He and his three older brothers thoroughly enjoyed their childhood in the jungle and have many incredible stories to tell. When he wasn't in "the Motherland", John and his family lived in Ann Arbor, Michigan. John has always been interested in going back to Africa and decided to pursue medicine after seeing how his father used his medical skills to heal and to share the love of Christ. Jessica is the 2nd of six children -- 4 girls and 2 boys. She grew up in Ypsilanti, Michigan. 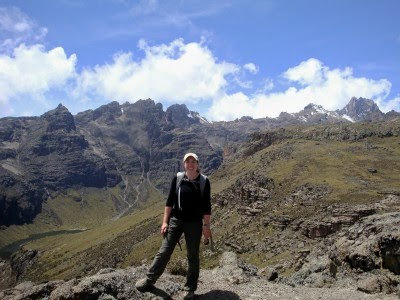 During high school, Jessica became interested in missions through several short-term trips to Honduras and Mexico. After high school, she decided to pursue this interest by living in the Fiji Islands for four months. 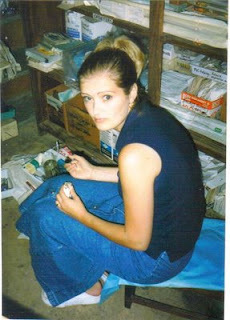 While in Fiji, she tutored national students in English and math at a local school. This experience, along with subsequent trips to Turkey and Togo, confirmed her desire to serve the poor. 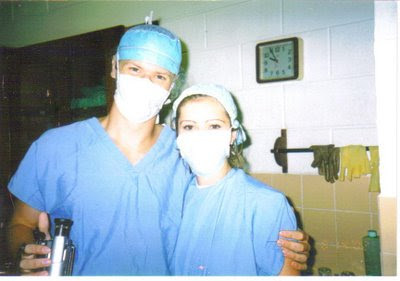 John and Jess in the OR at the hospital in Togo (2002) -- Jess did okay observing the first surgery (hernia), but went vasovagal during the skin graft operation and had to leave the OR early! After that, she stuck to organizing the storage closet (see below)!! For those curious as to how one ends up in the joyous, yet undeniably singular position in which we find ourselves: The short answer is that we all did part or all of our medical training in Ann Arbor, Michigan, and that we were at the same church, Knox Presbyterian. 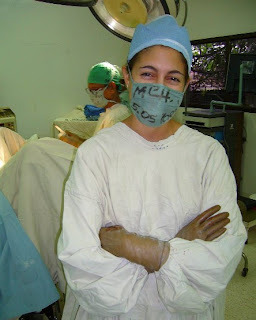 The longer answer involves Faders and Cropseys getting to know each other several years ago, with the burgeoning McLaughlins being somewhat more peripheral, but all being of like mind in desire to do medical mission work in the developing world. We also were privy, at some time or another, to a casual joke in which we would all join forces in the future as a community to pursue these goals. Then one night in September 2007, John, Jason, and a couple other innocent bystanders, got together and decided that maybe we weren't joking. Maybe there was, in fact, an inexplicable sense of God's call in how 3 families and 4 physicians, from 3 different medical school years, completing training the same year, with compatible life goals, in 4 different but complementary specialties, happened to meet in the same place and become friends. So Faders sent an email to the McLaughlins, at that time picking up a few experiential skills in Bangladesh, who were then struck by the same dual sense of "call" and "maybe we weren't really joking all this time". 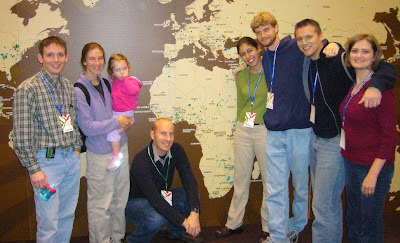 We all met in November 2007 in Louisville, KY, for the Global Health Missions Conference, where the decision to pursue a common community goal was cemented. Somehow we talked Samaritan's Purse into accepting us as a team into their two-year Post-Residency Program, and then Tenwek Hospital in Kenya agreed to take us. During our time at Tenwek, we began to eagerly scour the continent for various opportunities, focusing on medical education in areas on the needier side of the African spectrum. We sent lots of email, took lots of counsel, and visited several places. As it now stands, we are applying to World Harvest Mission in order to be sent to Burundi, to serve as clinical faculty for the young medical school at Hope Africa University. So here we are, not exactly at the beginning, but still early in a journey that has raised numerous questions and discussions that have started to teach us much of service, community, medicine, cross-cultural living, and an ardent desire to follow God. As the families grow, each new picture becomes the only one with all the McCropders. Welcome, Abi! L to R: Cropseys, McLaughlins, Faders. May 2009. Update: Jason kindly added Elise to another photo from the conference (where everyone looks even skinnier). 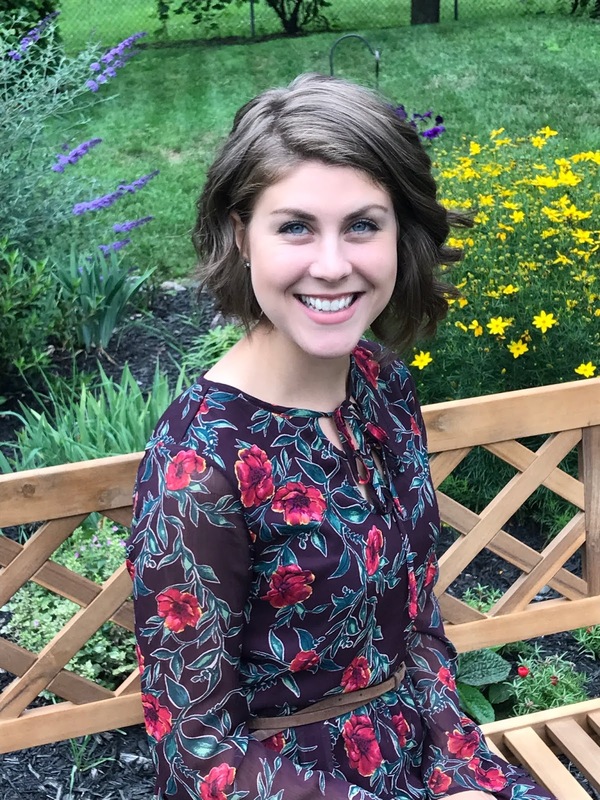 Nicole was born and raised in Poughkeepsie, NY and attended Rensselaer Polytechnic Institute where she majored in Business Management and minored in Architecture and Psychology, graduating in December 2012. She then spent a year volunteering with Raise the Children, International in Pretoria, South Africa where she served as a high school Economics and Math teacher and guardian to 18 orphaned high school students. 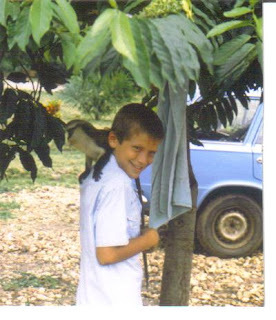 Before leaving South Africa her heart was drawn to long term missions, which is where Serge entered the picture. She is now serving in the finance department for Kibuye Hope Hospital. Her blog is found here. 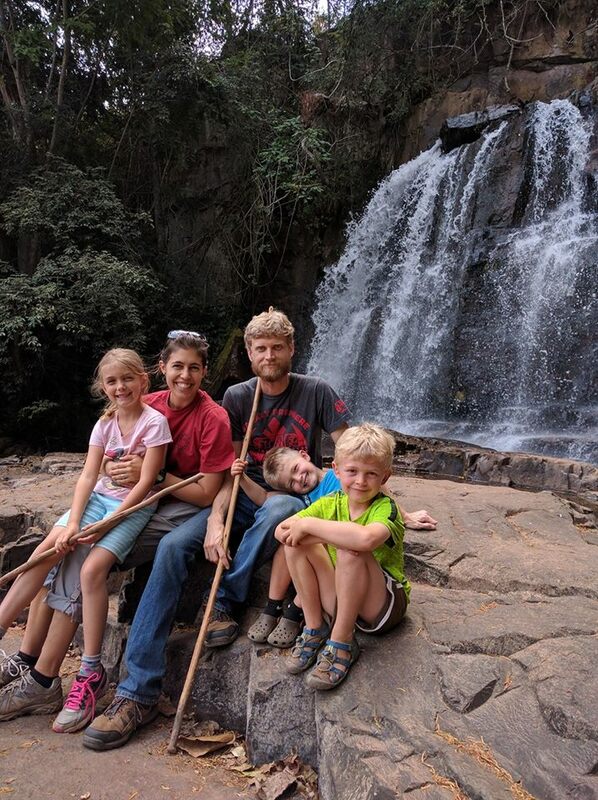 Jason: Enjoys teaching surgery at Kibuye Hope Hospital, fixing and building things in the workshop, playing chess with his daughters, and reading in the early morning hours. Heather: Loves teaching kids at KHA, reading with her girls, emailing with friends and family, crossing tasks off a to-do list, or going for a run. Anna: Writes stories, plays music, invents new recipes, and keeps animals. She's always eager to make new friends, yet she's also happy to curl up and read a book. Abigail: Rides bikes, plays games, loves math. She's happiest in the great outdoors or playing with her cousins. She has lived in 5 countries, but Burundi feels most like home. As of December 2010, we have reached a group decision to pursue the opportunity to work longterm in Burundi. Specifically, we are applying to be sent by World Harvest Mission to work in Burundi with Hope Africa University's young medical school, who is need of doctors to teach their medical students while caring for patients at Kibuye Hospital, a small bush mission hospital, which is currently being expanded into their primary teaching hospital. -The country of Burundi certainly represents "the least of these", that we believe Jesus cares so much about, being among the five most undeveloped countries in the world. -Yet, being post-war, there is an incredible window for growth and development in Burundi, and we feel that the Burundi leadership of Hope Africa University has already put their institution on a solid road. -Our hope is that we can add substantially to the health care available in the region of Kibuye Hospital (which is outside the capital city, and thus incredibly devoid of medical professionals), and at the same time be integrally involved in the professional and spiritual development of young medical students and leaders. -We feel that this opportunity provides the best mix of the gospel in "Word and Deed" as it would pertain to the gifts of our group. From a timetable standpoint, there are a few detours on the way to Burundi. 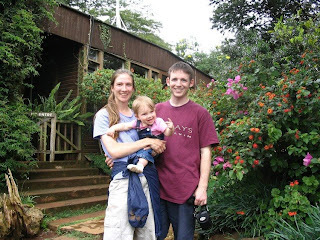 We will likely leave Kenya in the early autumn of 2011 (not that we have autumn here). We will be in the US for the following 9-12 months, and then hope to be able to head out for French language school, and then Kirundi language school (both of which are important for work in Burundi), which will take at least a year. A big investment, but joy in the journey, and we believe a worthwhile investment. World Medical Mission has a designated project account for each family. If you'd like to contribute financially, click on the family's name below for a donation form. (All financial contributions are tax-deductible.) You can print and mail them. You can also click on this link, and donate online through World Medical Mission to our accounts by typing in the last name of any family, and following the directions. Our shared van "The Jolly Green Giant"
**Note: Thank you for your support during our time at Tenwek! Through the generosity of many friends and family, God has met each of our needs. You can continue to send donations to our project accounts at World Medical Mission up until we transition to World Harvest Mission (in late September 2011, Lord willing). 100% of the excess funds in our World Medical Mission accounts will be rolled over to World Harvest for ministry in Burundi. We will post updated donation information with World Harvest when it becomes available. A good friends asks me, "Are you first a missionary and second a doctor, or is it the other way around?" In other words, "Is proselytizing (a.k.a. 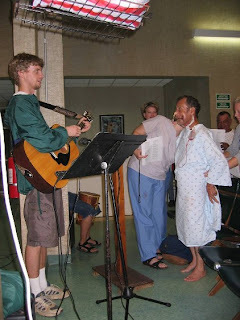 evangelizing) or medicine your primary goal?" This is a good question, and one that many ask, and likely even more want to ask but don't know how. But the most truthful answer requires a different question. We believe foremost that the message of Jesus is good news. OK, so what is this news that's so good? Namely, that Jesus' life, death, and resurrection has accomplished a way to new life. Our old life (i.e. without the good news of Jesus) has been full of sin. Jesus offers forgiveness and His Spirit to overcome sin. We had lies. He offers truth. We had hatred. He offers love. We had selfishness and inwardness. Jesus offers a way of serving Him by serving others. We perpetrated injustice. Jesus bring true justice. We had death. Jesus brings new life. For many years, Christians have chosen between the categories of Word and Deed. One group chose to spread the message of Jesus, and the other to do the works he commanded. But these are inseparable. The Gospel (which simply means "good news") is to be in Word and Deed. The good news is that Jesus is your salvation for all of time and that His kingdom is bringing you medical care here and now. Word without Deed would be an incomplete Gospel. Deed without Word would also. This idea endows everyday medical care with eternal significance and makes it not just a means to a more "spiritual" end. And it causes the message of Jesus to be rightly endowed with transformative power here and now. This truth is central to our mission. --Bob Lynn: Associate Pastor of Missions and many other things at Knox Presbyterian, our home church. --Steve Telian: Friend and mentor from Knox who is also an ENT surgeon at the University of Michigan. --James Paternoster: Intervarsity staff worker with the medical school (et al. ), child of Nigeria, and all-around good guy. The reason they have earned the dubious distinction of having a smushed name is that they serve all of us as mentors (individually and as a group), and we are indebted to them.